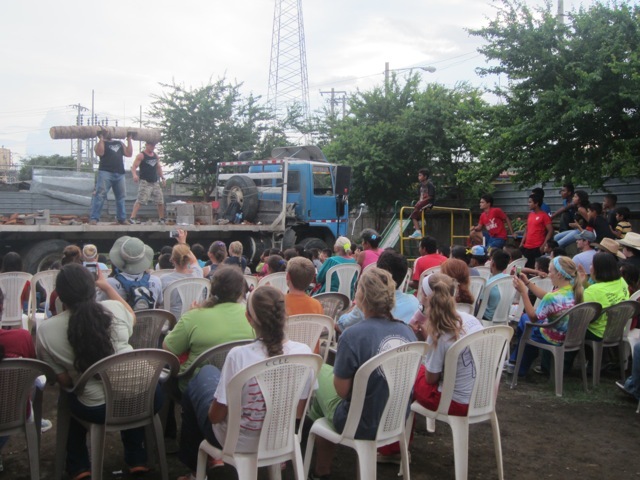 A few weeks ago we had a visit from our friends in Houston at First United Methodist Church. The youth group was down and their leader is actually a member of Team Impact. 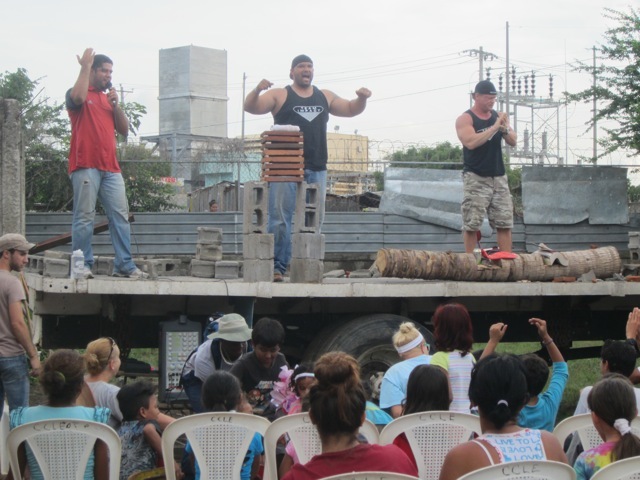 You may remember from your childhood…these are the guys who rip phone books, bend metal bars, break bats and bricks…all with their bare hands, and then they share the Gospel. I totally remembered them visiting my church as a kid. 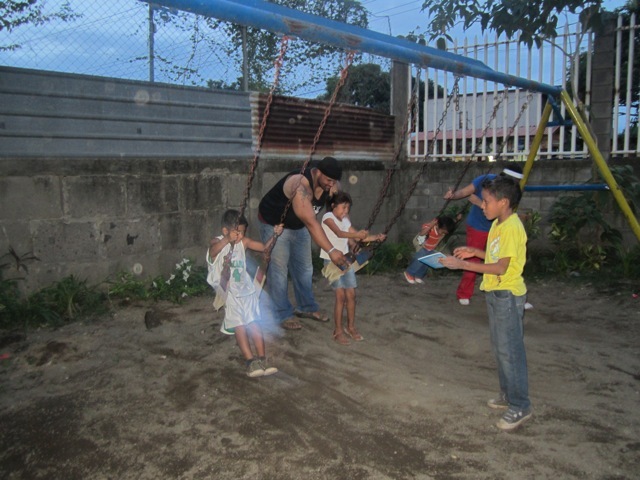 So, it was a huge blessing to have them down and planing a visit to Club Esperanza!!! 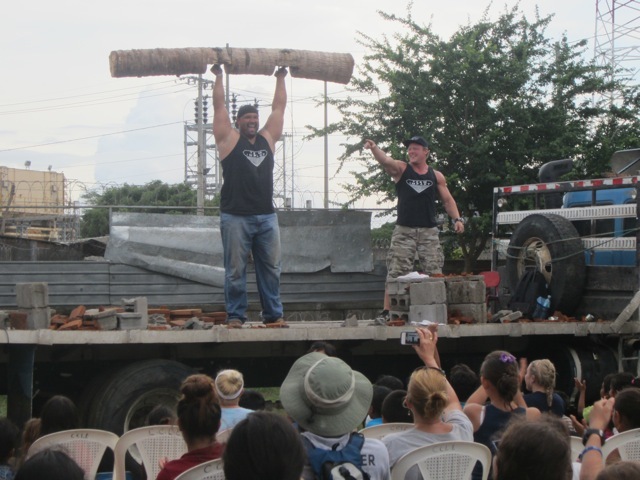 The entire team spent the day at the club, hanging out a doing activities at the club with the kids from the neighborhood and then in the evening, we pulled in a big flat bed truck and had a “Strong Man Show”. It was awesome! 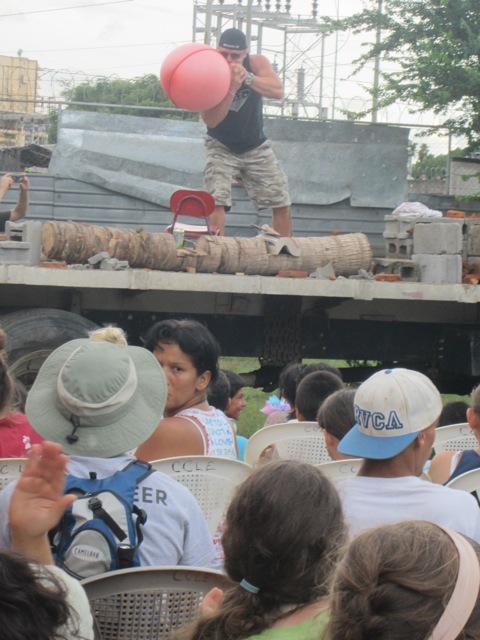 The people loved it and were totally open to the Gospel message that was shared. 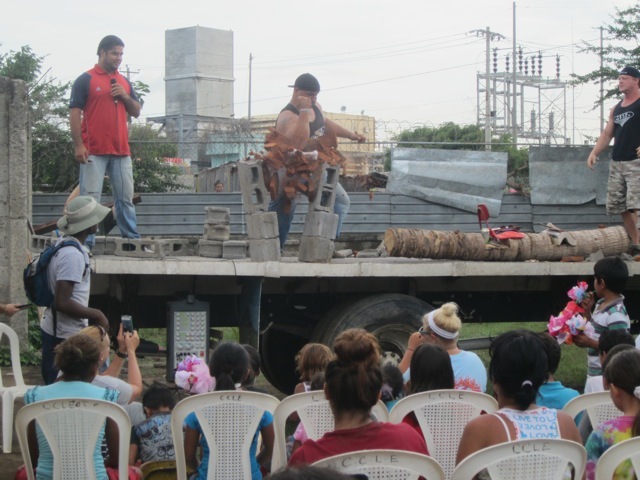 Many in the audience made decisions to follow Christ, more asked for prayer, and everyone received a copy of the Bible. Krista had a sweet story of a little girl who came in and said her grandma was sick, and so they went and got her. She came in and was prayed for and the Lord really touched her. Her back was healed. She had sever pain, and she felt it leave. It was gone. What more can you say? Amen! While they were praying Krista turned to the little girl and told her to pray for her grandma…she looked up and said, “I do, I prayed for her last night”. Amen. When the medical team visited from Christ Journey Church in Miami they brought a huge gift. 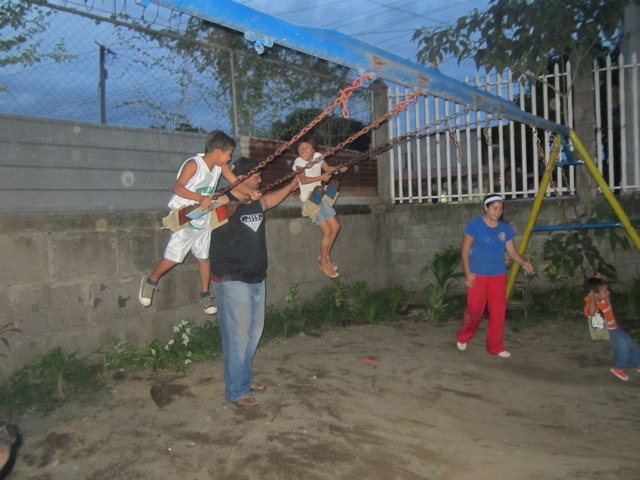 The Youth group had visited Club Esperanza during spring break, and we had a great time. Well after hearing all that had happened with the demolition of the school and the new location…they went home with a purpose. A member of that team was with the medical team and he brought a gift of $13,800 to give to the purchase of the new location!!! Praise Jesus! Can you believe that? We were floored! So now we are almost there. Out of the $75,000 we have to raise, we only have $23,900 left to raise! Absolutely amazing! We know the Lord will do it!